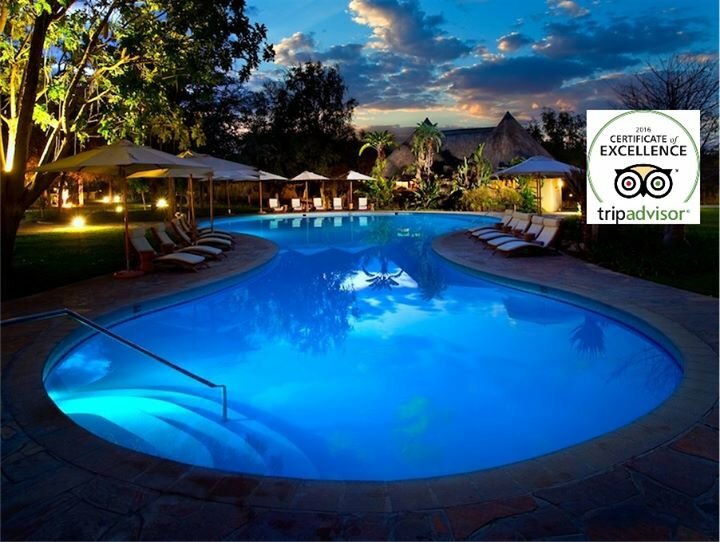 Mokuti is the perfect venue for travelers wanting to explore the famous eastern side of the Etosha National Park. Mokuti is the perfect venue for travelers wanting to explore the famous eastern side of Etosha National Park. Known for its excellent and diverse wildlife encounters, it has become a popular venue for meetings, incentives, weddings and honeymoons. Upon arrival, guests are welcomed by a cool, green, tropical oasis. Charming thatched buildings and two sparkling pools nestled among the vast indigenous gardens, give credence to the name “Mokuti”, which in Ovambo means “In the forest”.